We are very famous for our ability of supplying a wide range of Magnesite Bricks to our client's. fabricated with using fine quality raw material as well as cutting-edge technology. 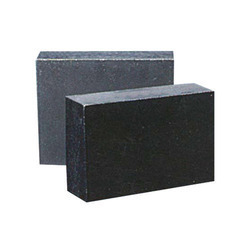 We have emerged as a prominent firm in the industry, involved in offering Fused Magnesite Bricks, which is designed using quality tested inputs. The Magnesite brick is one of the most widely used basic refractory bricks. Different grade magnesite used as raw materials are applied in Magnesia bricks with various quality. Magnesite Bricks made by us available in high quality premium raw materials which have features like durable and strong as well as in high cold crushing strength. It widely used in furnaces and chemical industries as per requirements. Our firm offers an assortment of Magnesite Bricks that is made under the semi dry process. This process provides these bricks the required initial strength and accuracy. Due to this, these bricks are properly laid and joined with minimum jointing material that makes these cost-effective to the users. Further, the refractory technologists direct the application of this product. This is an economical range of products for use in non-vulnerable areas of converters, EBT/EAF and LRF slag line. 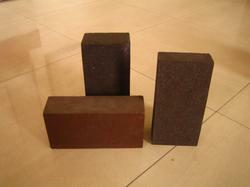 These bricks outperform fired products due to their non wetting characteristic. These can be supplied in metal clad quality also.